On April 12th, I sent a memo to the White House. The facts within it may make them uncomfortable. They certainly made me uncomfortable. It just seemed like the best way to present so much information in one place. Nor am I a survivalist, or a conspiracy theorist, or a “prepper.” I’m just a businessman. I sit as the founder of a multi-national news and research network that serves 2.6 million private subscribers. That’s more digital subscribers than the New York Times and The Wall Street Journal combined. We operate across six continents, in 16 different countries, in 7 different languages. I’ve been invited to dinners along with Margaret Thatcher and Milton Friedman. I attended Ronald Reagan’s inaugural ball. Recently I had the former head of the United States Federal Reserve in my office. That’s why, on April 12th I mailed a copy of my findings to the White House. No, you will never see this book in a store. And I have no plans to offer it on Amazon or anywhere else. In just a moment I’m going to tell you how you can read it right now (and secure the same hardcover copy we sent the White House). The evidence that I have outlined in this book may make some of your friends or family members very angry. They’ll refuse to believe what you put in front of them. They’ll say it just can’t happen. 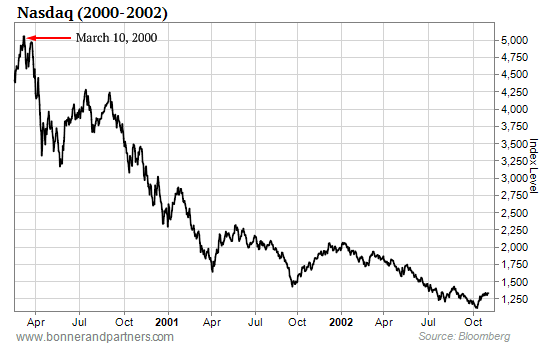 …On March 10, 2000, I personally sent out a warning that a “day of reckoning” was close at hand for the dot-com bubble. In fact, even earlier than that we had warned against many of the banks that would go on to receive bail outs in that crisis…Our list included Citigroup, Chase Manhattan, and Merrill Lynch, among others. You may have seen our work referenced in the Wall Street Journal, Barron’s, or the New York Times. Yet, we operate very privately. We do not sponsor football stadiums, engage in politics, or take out ads in glossy magazines. That said, it didn’t come as a complete surprise when Trump’s team reached out to a colleague at a fellow group for advice on the economy. It was even reported in the influential financial letter The Daily Reckoning. Based on what I’ve seen – and what I lay out in my book – his prediction will likely come true. And now you can see them for yourself. Again, this book is not going into Barnes and Noble, or Hudson News at the airport. It is – and will remain – purely for private use. Frankly, you may never see this offer again. It contains everything that has led me to the conclusion I’m sharing with you today. And look, I understand if you feel there’s a lot to be hopeful about in America today. Maybe you’re tired of the doom and gloom. Well, so am I. But that doesn’t stop me from telling the truth. I’ve made my preparations…I’ve spent millions on lawyers, land, gold, cash, and other investments that could prove crucial in the days ahead. 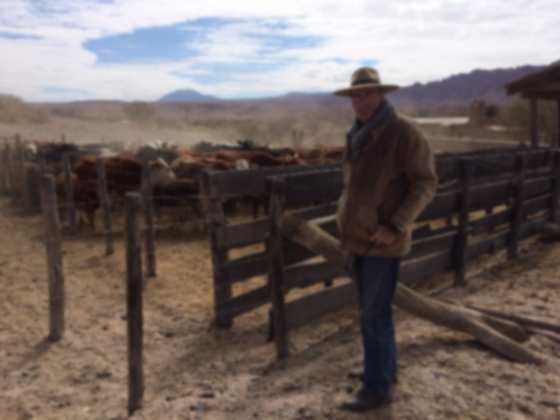 I grow my own vegetables, raise my own chickens and livestock (several hundred head of cattle actually), and try to teach my children hard work and skills they can use no matter what. So I’m serious about this. All the evidence I’ve gathered says 100% that this will happen. And look, I’ve made predictions like this before…and I was right then too. For example, in the 1980s I became convinced that the Japanese stock market was about to crash. 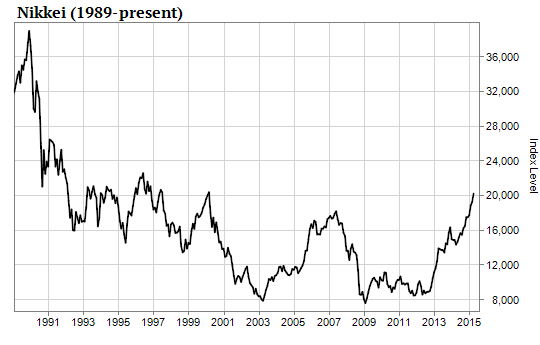 That year the Japanese stock market was at its highest point in history. What if I’m right this time too? And are you willing to take just a few minutes to review my findings? 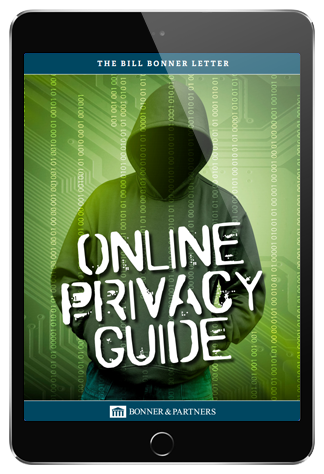 You will find out how to protect yourself (and perhaps even prosper). You don’t risk much. In fact, have you read your banking contract? You may be surprised at what you agreed to…In a moment, I’ll give you one critical thing to protect yourself. …I expect more currency controls and laws restricting cash use, similar to what we’ve already seen in Louisiana with R.S. 37:1866…or at the federal level with public law 111-147 and section 5324 of the US Code. And actually, I want to talk about a few of them right here. These days you can practically feel the tension like humidity on a hot summer’s night. How long do you think those same people will refrain from stealing and violence during a true economic crisis? My feeling is…not very long. What do you think happens once banks start freezing accounts…when government checks fail to go out…and there’s no one to cash them even if they do…? My own family experienced a taste of what’s to come first hand…on a cold April night in Baltimore not long ago. Otherwise quiet streets were suddenly overrun by screaming mobs, lighting fires, breaking windows…looting at will. My daughter was pregnant at the time. She and her husband were prisoners in their own home while vandals ransacked the street only a few blocks away. Meanwhile one of my employees – also with a wife and children – was nearly caught alone in the street by the angry mob…He was beginning to realize just how much trouble he was in, when miraculously a kind stranger opened a doorway and pulled him in to safety. And I’m going to open a door for you. I’ve put all our findings into an accessible field guide for the days ahead. It’s very easy to read. Don’t wait till tomorrow…or a week from now. You can claim your copy of my book this very moment (an instantly downloadable pre-print proof AND reserve the same hardcover copy we sent the White House). Look, you didn’t arrive here by accident. I’ve spent well over $2 million putting my message online. That’s not counting the analysts, the copy editors, the designers, and the researchers it took to produce the book itself. I estimate that if I wanted to make an actual profit on each one, I’d have to sell them for over $150. That sounds like a lot but ask any college student: a good text book can cost over $500. In fact, I’ve seen even used copies of my other books on Amazon for as much as $86 dollars. But I’m not going to ask you to pay anywhere near that. Instead, I’m allowing you to instantly download a proof of this book – that’s the digital version we send to the printer – for free. Then I’ll send you the same hardcover copy I’ve sent the White House. We pay the shipping. 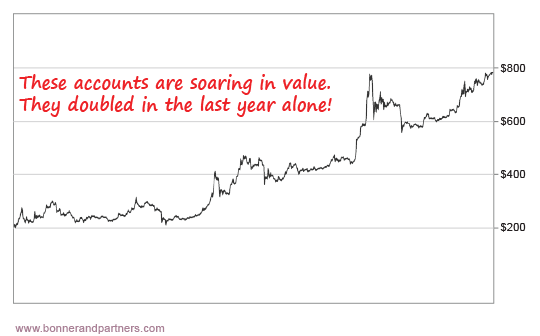 Now if you’re imagining complex charts…data tables…and things that look like bank statements…do NOT worry! Those who prepare now, have a chance to save what they’ve got. There will even be those who profit in this new era. But I fear many millions will be caught off guard. America is just very different from the place you and I grew up in. But frankly, you don’t need a scientific study to prove that. Can you imagine a full-blown collapse in today’s America? Where anger at police is reaching a boiling point…? Where teenagers can use the Internet to summon “flash mobs” in just minutes…? Where half of the population pays no taxes and depends on aid from the federal government…? Where students crippled by college loans can’t get jobs…? How Long Before Americans Turn on Each Other? For example, you’ll understand how these manipulations have affected everything from our diet to what kinds of houses we live in…even our political system and race relations. You’ll be able to explain how it all works to friends and family. But of course, the true value of my book are the many pages of ideas you can use to overcome these corruptions of American society, money, and life. In fact, when you get yours I want you to open it up to page 119. The fact of the matter is, you should not trust money you can’t hold in your hand. In the immediate aftermath of the crisis…I expect physical dollars to get VERY scarce. That’s why, if you ignore everything else from this message I would hope that you maintain an “emergency” cash reserve at home – one month’s worth of expenses at minimum. But that’s just to start. Did you know: your closest town could be producing something called “local scrip”? At least two cities on the East Coast do. Meanwhile poor areas of London have used local scrip for years to save wealth outside the larger British economy. (for more info see page 132). You’ll find the full details in Chapter 19: The Crisis Money Guide. …the best countries for opening foreign bank accounts – without ever getting on a plane! Swiss banks – which saved countless Europeans (and many Jews) from Nazi occupation – sadly no longer accept most US citizens. But there are some places that still offer total secrecy. And you don’t have to be rich to use them. In fact, you can setup at least one type of new “Swiss bank account” from your home computer. And you can get started with less than $1,000. Now of course, this type of account can go down too. And I don’t recommend them as an investment. But if they keep your money safe and available when you get into a jam…well that could be lifesaving. Huge gains are simply a bonus. It’s all detailed on pages 161, 157, and 156 of my book. And look, I sincerely hope this is all just over-the-top paranoia. Maybe it won’t happen. Maybe it won’t be so bad. For the first time in 35 years…people are suddenly dumping bonds...causing yields (which have been falling for three decades) to suddenly break. Recently, a record $33 billion was pulled from US funds in just one month. We’ve seen them get drained by as much as $8.1 billion in just a week. And right now, the math is pointing at severe, and disturbing, changes in the near future. Of course, if you want to follow their lead you’ll find resources in this field manual that you can use (just flip to page 202, or page 209 to get started). But if I can’t be away from my own children and grandchildren, I don’t expect you to either. That’s why you’ll find plenty of ways (I count over 50) to gain all those same advantages…without leaving everything you know behind. On page 157, you’ll discover how a simple change in the way you store gold could make it many times more valuable as wealth protector– even Swiss bankers agree (plus it involves ZERO fees and can be used for other assets like cash). On page 147, you’ll learn about the one “invisible” investment that you can hide in plain sight while generating huge returns…in fact, one subscriber says he has generated enough money with this investment to pay for two entire farms. And that’s just a sample of what you’ll find in this 220-page book I’ve prepared. For instance, there’s one type of $7 seed that can produce a plant so valuable, it could fund your retirement. In fact, just one of these plants can be worth as much as $20,000. No, this isn’t some fad – it’s been highly prized since the 1700s. In fact, one of our subscribers tells us that he’s been using it for years to make thousands of dollars. Put simply: once you read this book, you will not see the world in the same way. You will read the news differently. Understand current events on a different level. This is the kind of stuff you don’t see on cable TV. And the best part is that you pay only $19 for the same hardcover edition that we sent to the White House. It’s so little to risk…for 220-page field manual that could prove invaluable during the days ahead. 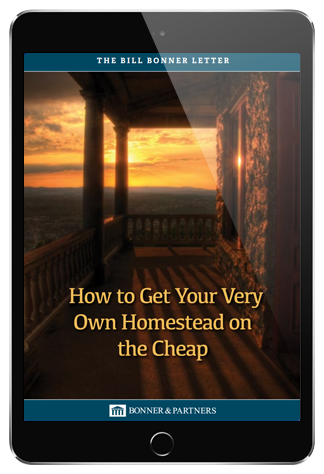 You will also instantly receive a digital edition of this book you can start reading right away. Read it on your tablet, your phone, your computer, or simply print it out. In that spirit, I’m going to give you a privacy briefing - FREE of charge – prepared by my staff. Here’s the deal: I want you to read this guide before you read anything else you receive today. Fair enough? He’s right. I have isolated farms on three continents. I like knowing that safety is never far off for myself and my children. Understand: I’m not doing charitable works here. 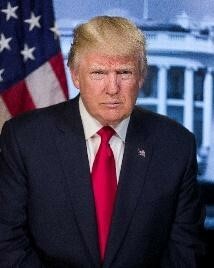 I’m first and foremost a businessman. A couple years ago, I teamed up with some talented people from within my network to create a unique, highly specialized division called Bonner & Partners. …and frankly it’s a lot of work. I believe we are in an unprecedented era, not only in American history, but in world history. As reported in Business Insider, economists looking back through 5,000 years of human economic activity have failed to find a true parallel to what’s happening right now. That’s why my private subscribers are joining something called The Bill Bonner Letter. Yet, this is the only research service I’ve allowed to carry my name. It’s for people who know the truth is out there…and just need a way to tap into it. Through the many years that I’ve read your columns I have laughed, almost cried, been angry and insulted, questioned your sanity, admired your intellect and courage, and poured a drink early in the day just to get through some of your articles. Most importantly I have learned. Thank you for all of it and keep it coming!! This information was really eye opening. Will help me make some serious adjustments to my lifestyle and future plans. But today I’m allowing a 30 day trial of my research service to be included with my book. That’s the catch. This is the first time I’ve ever allowed a deal like this and frankly, I might not again. My request is that you try it out for 30 days. 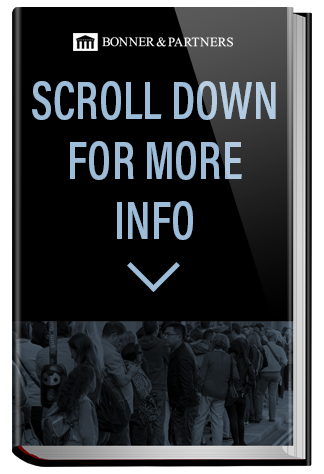 I suspect you’ll find my service just as amazing as my current subscribers – over 140,000 people in 144 countries – already do. If you do, simply enjoy the material and at the end of your 30 day trial we’ll automatically renew you for a full year’s subscription at a $70 discount – that’s just $129 for a full year of my service. Our members’ services team is composed of professional and educated individuals, located right here in America. We only hire people who can grow into larger roles as they learn our business. In fact, if you are charged, but didn’t wish to be, you can just give us a call within 30 days of the charge to request a refund. I have no interest in charging anyone for something they don’t want. But I’m risking a lot to get this out into the world. I know it won’t be popular. And believe it or not, it cost money to get this message here instead of a regular ad. So I do hope you’ll take me up on my offer. 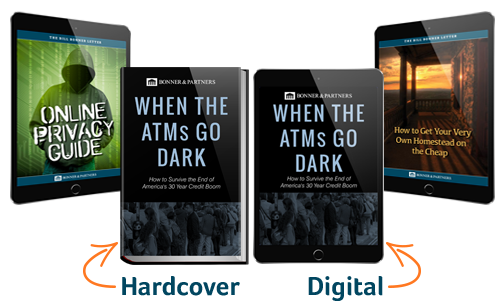 At the very least, get yourself a copy of When the ATMs Go Dark and see what you think. All you risk today is $19 dollars. 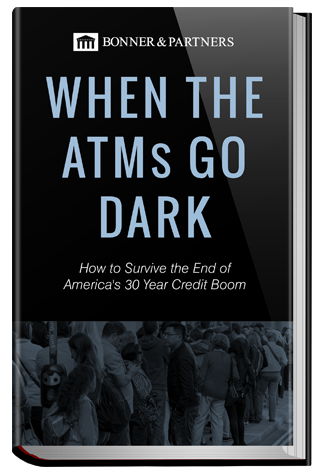 In case you missed any of that, this is your chance to secure a pre-print proof of When the ATMs Go Dark that’s the version we send to the printer – for free, along with a hardcover copy to be dispatched (at my cost!) as soon as they are available. All for just $19. Once the trial period runs out, your subscription will automatically renew you at our low yearly price of $129. Just call us if you do not wish to be renewed. It’s that simple. All for just $19. That’s less than the cost of your monthly cable bill. Will this “crisis” really happen? I can tell you with 100% certainty that it must happen. Whether it will be next month, next year, or three days from now…no one can know. But the fact remains: this threat is very real. Sadly, there’s just no way to convince everyone. In my experience there never is. For instance, when we predicted that the housing market would collapse in the late 2000s, skeptics like us were widely mocked and dismissed. Undeterred, we sent out a second warning. Americans who listened to the “experts” were caught off guard and ruined. Years later I heard from one of our private readers, a doctor who had failed to persuade his wife to follow our advice in early 2007. “[My wife] was a very successful real estate broker and we were walking tall. [But] as a long-time reader I knew what was coming. I pleaded with her to sell all our highly leveraged real estate…She refused to sell. We lost everything, nearly a million dollars.” - R.G. That unwillingness to believe anything can ever change is actually due to a very real phenomenon. We’ve studied it. My question to you from earlier still stands: what if I’m right this time too? And is $19 too steep a price to pay for insurance in case I am? What is this ‘network’? Are you a real company? The network began in 1978 when I founded a small research firm called Agora, Inc.
We have since evolved into a large, multi-national network of independent groups informally referred to as The Agora. Just a few years ago, I assembled some of the top talent in The Agora to focus almost exclusively on this growing situation. I called this new highly specialized group: Bonner & Partners. Our dedicated analysis, editorial, and member services teams are staffed by people we handpick because of their intelligence, their creativity, and their trustworthiness. We stand by our work, which is why I feel comfortable sharing so much of it with you for just $19…even though you are completely free to cancel at any time during your 30 day trial. Additionally, like many subscription-based services – including The Wall Street Journal, Time Magazine, The New Yorker, Sports Illustrated, and more – we use automatic renewal. At the end of your 30-day trial we will auto-renew you at $129 (refundable) – instead of our usual $199. That’s a $70 credit, as a thank you for giving it a try. If you don’t wish to be renewed, just let us know. We will, of course, notify you before charging you. If you are renewed but didn’t wish to be you can request a refund within 30 days of the charge. I say this with utmost sincerity: we have no interest in charging people for things they do not want. That’s not how we’ve stayed in business for 37 years. We’re cutting you this deal because we believe that our products, services, and our team members are the best in the country. And what better way to promote our work than simply letting customers see it for themselves? When they do, we find that they generally like us and want to stick around. But again, if you’re not interested that’s totally okay too.